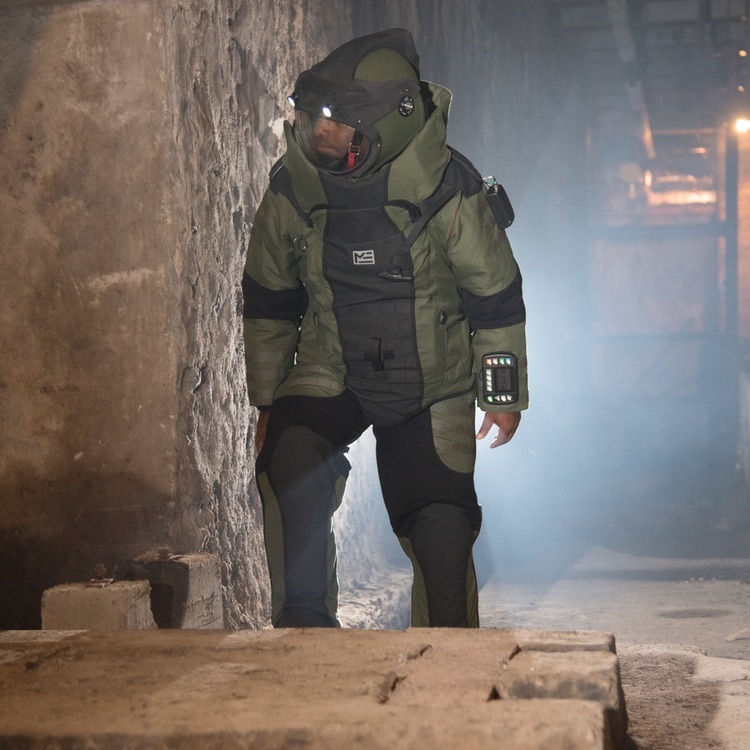 The introduction of the EOD 10 bomb suit sets a new gold standard for blast protection, ergonomic design and technical capabilities. Indeed, this Med-Eng multi-year development program is focused on a user-centric design. As a result, it provides end-users the best possible overall experience and the results are outstanding. 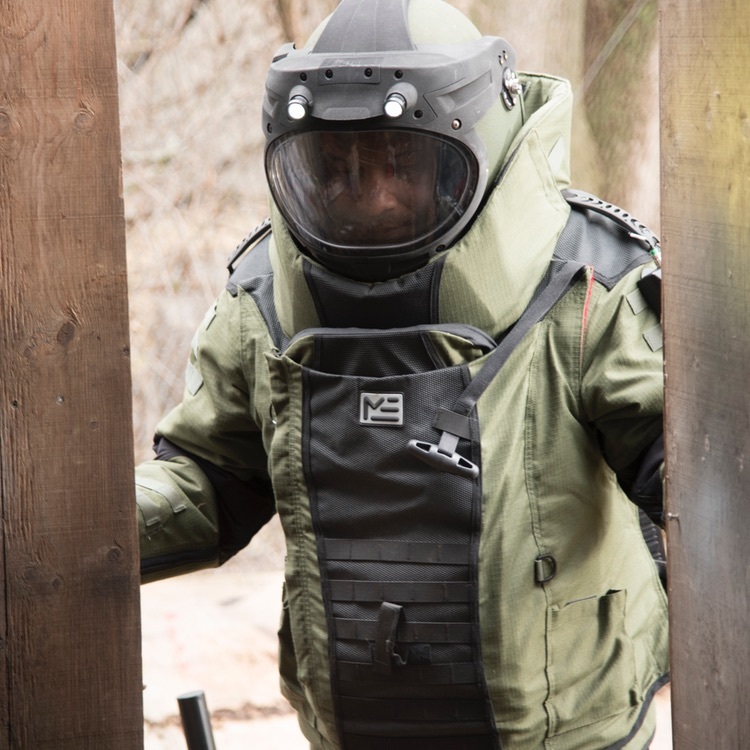 It is significantly lighter, more comfortable and gives users much greater mobility than its predecessor (EOD 9 bomb suit). The jacket and trousers have been completely redesigned to reduce weight and fatigue. Its new and enhanced ambient air ventilation systems keep users feeling refreshed and focused. 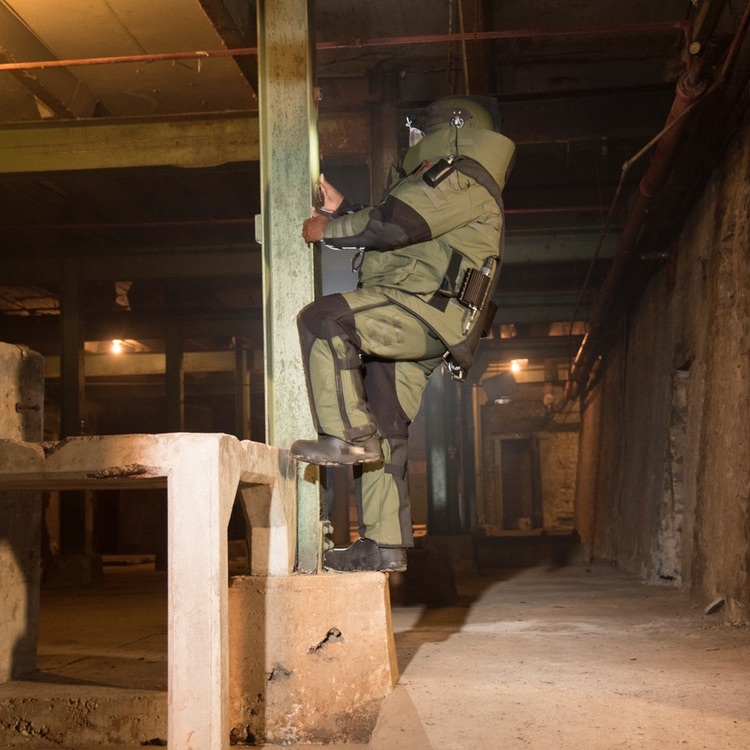 An improved fit and new materials enable bomb disposal technicians and military EOD operators to operate more freely in difficult locations for longer periods of time. Moreover, the helmet has been completely redesigned to improve situational awareness, protection and fit. It integrates a Voice Command system and new light discipline options, and provides enhanced warning and confirmation systems to support users in a variety of operational environments. The EOD 10 ensemble remains compatible with both hard-wired and radio communication systems. It is also compatible with the CBRN undergarment already in existence for the EOD 9.